This book presents striking black-and-white photographs of 160 historic round barns in Iowa. 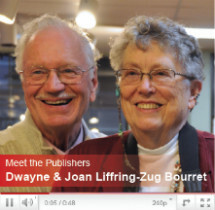 The photographs date back to 1983 when the book was first published. 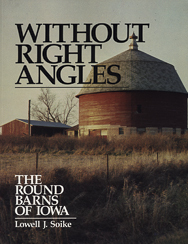 Many people have used this book as a guide to finding the round barns of Iowa. While many of the barns are still standing, others have disappeared. Lowell Soike, a historian with the State Historical Society of Iowa, writes about the barns in this second edition. One chapter shows the moving of the Tonsfeldt barn from the edge of Le Mars to the Plymouth County Fairgrounds in Le Mars, Iowa, where it stands today. Tonsfeldt built the barn in 1919 to show purebred livestock and to feature “Perfection,” his prize Hereford bull.